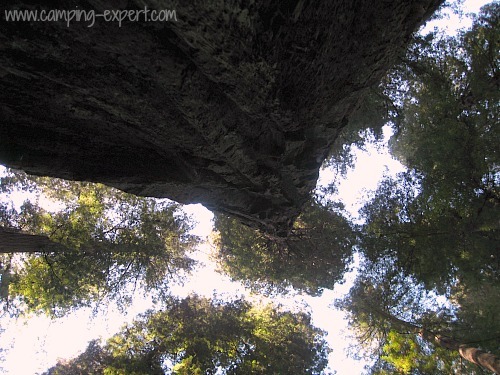 Redwood National Park : A tree lovers paradise! My brother thinks I have a thing for Big wood! Well, he might be right, even if his mind is in the gutter. Reality? I LOVE big trees! 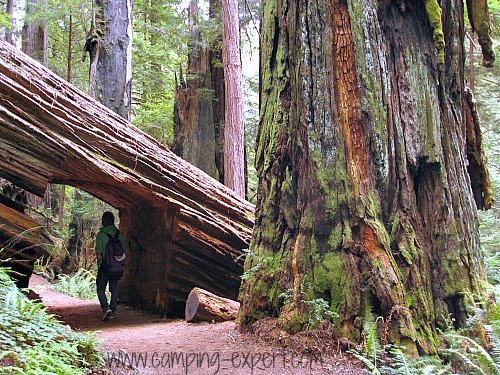 Now, visiting the Coast Redwood National Forest is a dream come true. The trees are fantastically huge, and impressive. 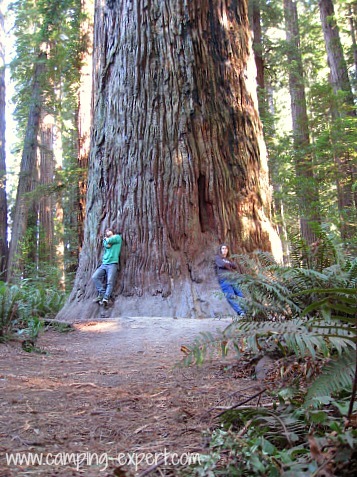 Some are up to 26feet in diameter (that’s almost as wide as my house!). 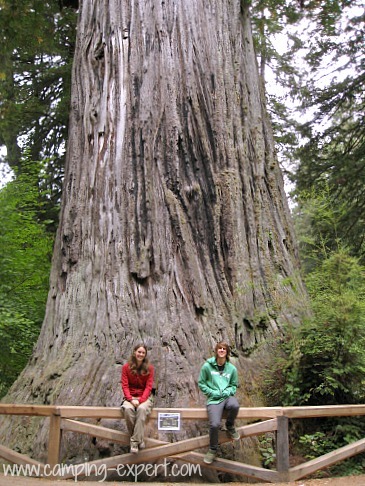 They are also the Tallest trees in the world, up to 367 feet tall (or 29 stories). 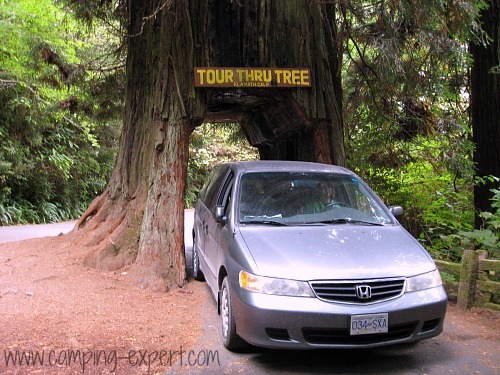 There is even 3 drive-through trees, where you can you guessed it, drive your own vehicle through a tree! Pretty darn cool if you ask me. 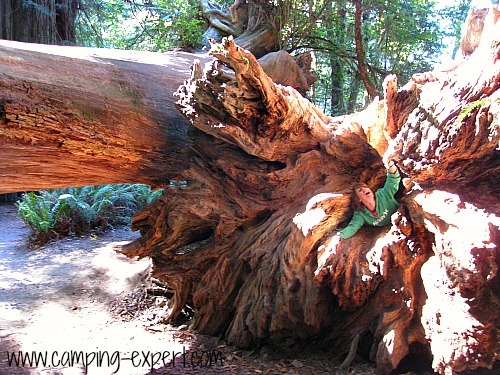 There are several camping areas in the Redwood Forest, from $10 to $35 per night, depending on what services you want. There are also 4 different scenic driving roads that you can take to get a better look at the trees with many stops along the way to walk and see them better. We came from the north and headed south, starting near Crescent City, to the taking the Stout grove route and walking along the Stout Tree trail. This is an old narrow road that you can only drive with regular, non oversized vehicles. This is a pretty neat drive if you ask me! We loved it!! Another road that you can take is the Bald Hills Scenic drive route that runs parallel to the Hwy 101. Along this route you can stop and see “Tall tree”, and also the Cokscrew tree among other beautiful oldies! We also did the West ridge trail where you can hike up to nearly the height of the canopy of the trees growing from lower down. It is a 5 mile hike if you take the ZigZag #1, but definitely a great hike. There are a bunch of burnt trees that you can go inside, as well as a fallen hollowed out tree that you can walk through. You feel like you’re a kid again, experiencing the forest as a child might, with wonder and awe with nooks of trees and the feeling that there is something more majestic and bigger than you. The feeling you get from being among the giants of the world is pretty darn cool, considering that there are only 5% of these forests remaining, and by driving through the two routes mentioned above, you will drive through 2 of the last 3 remaining stands in the world. 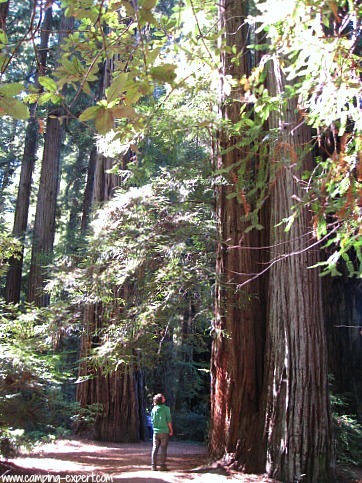 (the last one is the Avenue of the giants, Humboldt state park a few dozen miles south of the park, where you can also see Albino Redwoods). Jedediah Smith Campground, Mill Creek Campground, GoldBluffs Beach Campground, Elk Prairie Campground. Costs as of this writing were $35 per vehicle per night ($20 for environmental sites), or $5 for hiker or biker. It is recommended to reserve camping during the summer months as all the campgrounds above except Gold Bluffs offer reservations. Visit this site here for reservations (opens new page). Back country camping is only allowed in designated camping areas and requires a permit (available at the Crescent City Information Centre). 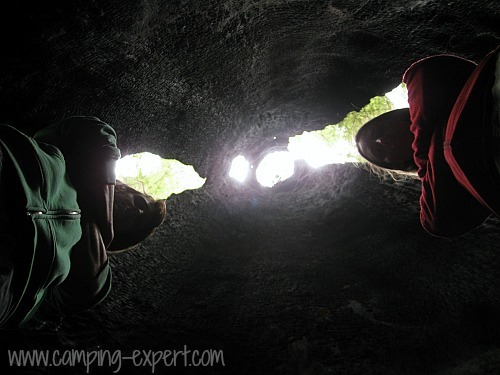 There are many locations that offer backcountry camping and are accessible near several trailheads. Little Bald Hills allows horses, bikes and hikers, accessible at Little Bald Hills Trailhead. Nickel Creek, and Flint Ridge are accessible at the Coastal Rail (different parts of trailhead) and are for bikers*** or hikers. DeMartin is available for bikers*** and hikers and accessible at wilson creek picnic area. Ossagon Creek accessible at Prairie Creek Visitor Cenre for bikers and hikers. Elam creek is for horses only and is accessible at redwood creek trailhead. 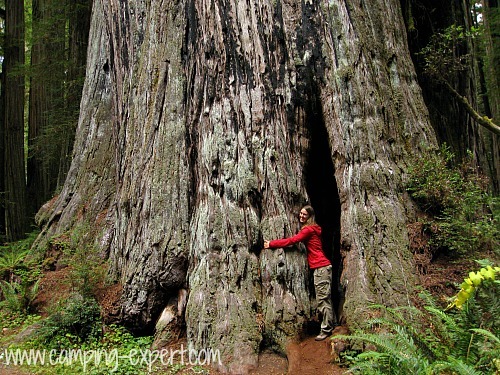 44 camp, and Redwood creek are accessible at the tall trees trailhead and are for hikers only. ***Make sure you do your research as some of the bike accessible trails require that you walk for part of the trail. If you plan to visit a (or many) National Parks, check out why I LOVE the National Park pass that you can buy for the National parks in the USA. 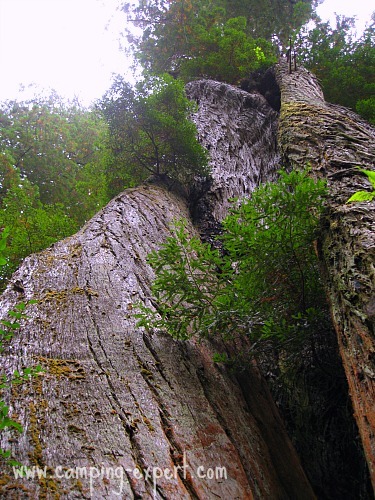 If you want to check out the website for Redwood National Park, check it out here (opens new webpage). Check out my other experiences in other National Parks and Parks I've been camping at!